You're more likely to see a sign like this than a "Sold" on an home these days. Sales of existing homes took an unexpected plunge from December to January, falling to the lowest level in nearly 12 years as buyers waited for the government to boost the U.S housing market. The National Association of Realtors said Wednesday that sales of existing homes fell 5.3 percent to an annual rate of 4.49 million last month, from 4.74 million units in December. It was the weakest showing since July 1997. Sales had been expected to rise to an annual pace of 4.79 million units, according to Thomson Reuters. The news was another blow to those hoping that the plunge in housing was reaching a bottom. On Tuesday, two housing indexes showed that U.S. home prices tumbled by the steepest annual rate on record in the fourth quarter of 2008. The pace of decline continued to gain speed in all but a handful of battered cities. The Standard & Poor's/Case-Shiller U.S. National Home Price Index plunged 18.2 percent during the quarter from the year-ago period, the largest drop in its 21-year history. 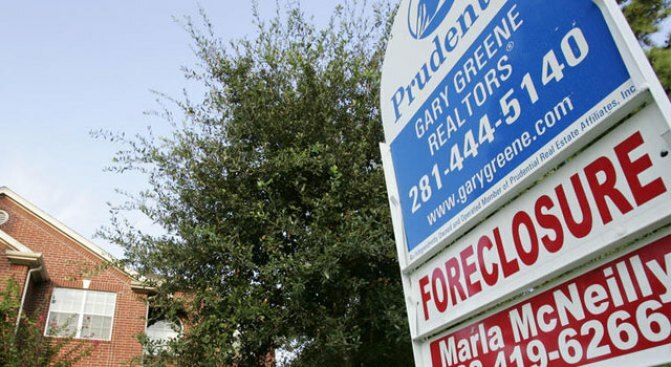 Meanwhile, the Federal Housing Finance Agency said home prices dropped 8.2 percent from a year earlier, its largest annual decline on record since 1991.